A Treacherous Social Game (The Morphosis.me Files, Book #2), preorder NOW! 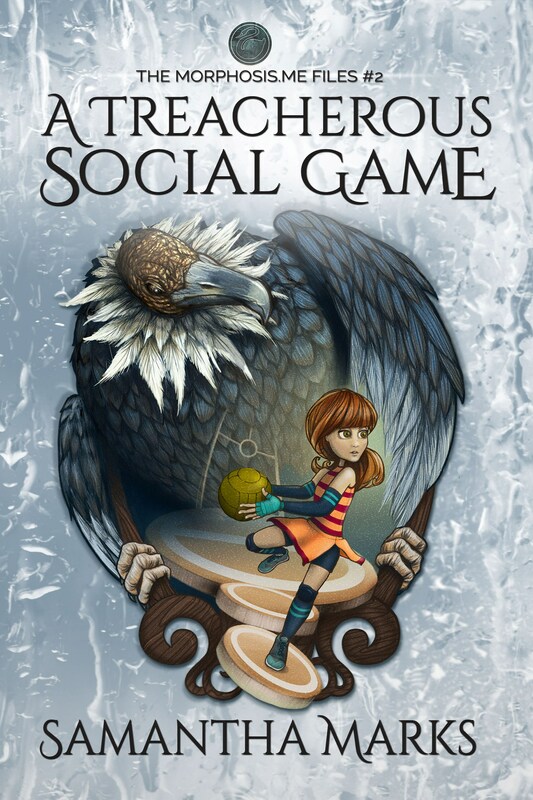 A Treacherous Social Game, Book #2 in The Morphosis.me Files, preorder in November! In a world full of shape-shifters, how can you tell friend from foe? In the second installment of The Morphosis.me Files, Kayleigh delves deep into untapped magic to better control her morphing powers, still determined to find and free her mother. No amount of magic, however, can help her survive the social tightropes of high school life: dating, popularity contests, exchange students, and a surprise sports competition called the Gaelic Games. When a vulture begins stalking Kayleigh night and day, she suspects the foreign exchange students are more than they seem. Concerned for her safety and with the Gaelic Games approaching, Kayleigh is forced to face her new enemies on the field. It’s a winner-takes-all match that will either lead her closer to finding her mother or further than ever into enemy territory. Samantha Marks, Psy.D., is a Licensed Psychologist and Author. She previously wrote columns about mental health and families for the San Juan Star, and currently writes material for Tween and Teens with both Fantasy and Mental Health themes. A Fatal Family Secret, the first book in The Morphosis.me Files, and the second book, A Treacherous Social Game, are already out. The third book, A Perilous Blood Oath, is coming soon!